If you’re planning to relocate your office or other commercial business, you might be overwhelmed by the thought of what’s involved. There’s furniture, equipment, years of filing, and lots of people to contend with, and it might seem impossible. All businesses have confidential and personal information that should only be available to a select few people. If you’re planning to move an office or commercial space, within Brisbane or interstate, your sensitive information is one of the first things you should think about. It’s always a good idea to have a staff member be responsible for your most sensitive information, preferably someone who already has access to it, or is already responsible for it. Have this person move your documents to the new location themselves. If there’s too much involved and they need help, have the responsible person chaperone the documents in transport or collect the documents directly from the removalist at the other end. That way, they get where they need to go, and there’s no chance of them getting lost amongst the rest of the office furniture and equipment. 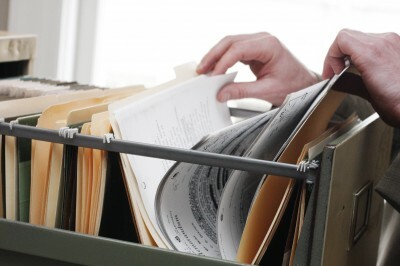 Most businesses accumulate a lot of paperwork that doesn’t need to be there. This adds extra work, extra weight, and most likely extra money to your bill when you’re using professional removalists. It’s always a good idea to sort through all your current and archived paperwork to see what you can get rid of; most legal documents have a mandatory lifespan (like tax documents, which is generally five years from the claim or lodgement), but they can be disposed of after this period is up. Getting all your filing in order is also a good way to save space, to prevent your new office space from getting cluttered, and to make your new workplace more functional and productive. All of your documents should be transported in boxes or containers that will protect them from being crushed, that will keep them in order, and that will protect them from the weather (even if they’re only briefly exposed while loading and unloading). Choose strong cardboard or plastic archive boxes—and don’t forget to label them, so they can be shelved or filed back in the correct order. You’re already paying for the expense of relocating your office, so you don’t want to be replacing your most valuable items, too. Plan ahead when you’re moving your fragile items, and it’ll help you to get your most expensive items to your new location in one piece. Computer monitors are among both the most expensive and most fragile items in your commercial spaces: they need to be packed properly, so make sure to source the right packing materials before your move. If you have delicate or expensive equipment like this that’s bulky, get advice from your removalist about how to pack them. There are a few good local removalists in Brisbane you can trust to help you with this—they’ll be able to provide or recommend the right products and techniques for packing, and guard your items against breakage during handling and transport. 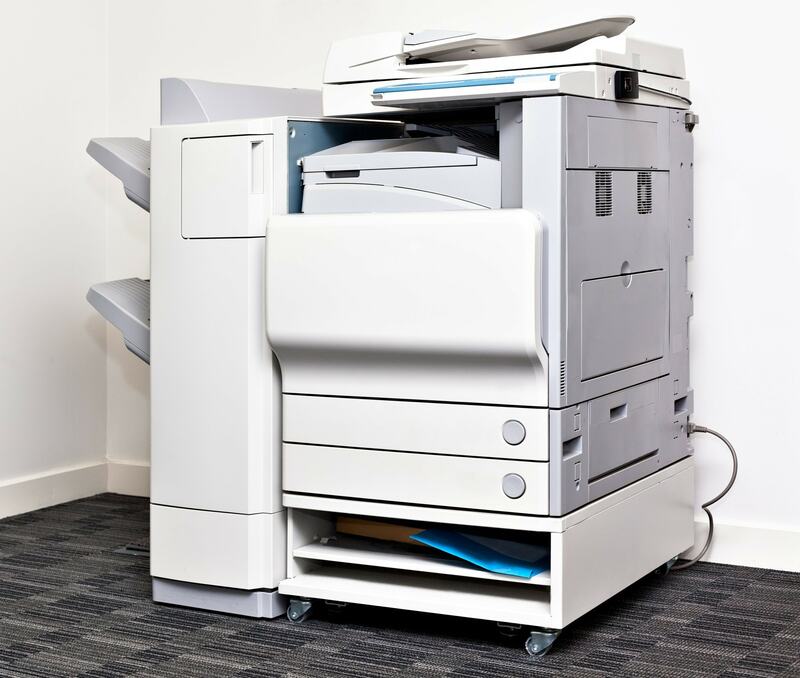 One of the first parts of planning your office move is making sure your large items, like commercial multifunction printers, have easy access in and out of your building. They’ll often be the first things to go when you hire a removalist, so you’ll need to make a thoroughfare for them if all your other furniture is still there. You can reduce the weight or size of many of these larger items to make it easier to move them and prevent breakage. Take out or empty drawers and disassemble separate components before you shift them. It’s easier to do this if you have the original packaging, but if that’s not possible, just keep the pieces together with tape or in bags or boxes. If you can, it’s sometimes a good idea to disassemble furniture like large desks as well, because it prevents them bumping and scratching on their way out—you just have to weigh up whether these benefits outweigh the extra labour of pulling them apart and putting them back together again. A big percentage of what’s moving to your new workplace doesn’t even really belong in it. 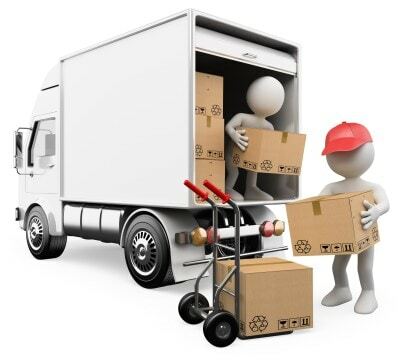 Your employees’ personal items take up a lot of space and can cost your business in extra weight or labour. Your break room will probably have tonnes of coffee mugs and pieces of Tupperware stored in the cupboards, so make sure your staff remove all their items before you start your move. Your staff should also be responsible for everything in their allocated workspace. They should be able to empty their desk drawers and desks of all their personal effects and transport what’s coming to the new office by hand in their own archive boxes. This will stop anything sentimental or valuable from going missing or getting damaged, and save your removalists extra time and labour during the move. Not all movers are the same! Removalists with commercial experience understand the logistics of getting workspace furniture and equipment in and out of challenging spaces in one piece. Removalists understand what’s involved in planning the move so that the transition from your old workplace to your new one can be a smooth one, with minimal damage to your items and the commercial space. If you’re a Brisbane business ready to relocate to a new commercial space, contact Faulkner Removals. Our skilled workers have the speed and efficiency to get you into your new workplace without the downtime, minimising the expenses you’d pay in lost hours and damage with less experienced movers. Contact us anytime for help with planning your move, and we’ll get it done in no time. But once the novelty of a new home has worn off, the dread of moving can set in. You look around and think about all the labour that’s involved in reorganising, packing and shifting all those items—the heavy ones, the dusty ones, and the ones that seem to have multiplied into millions over the years you’ve been living there. You already know there’s another option: have someone else do it. But if you’re like many other people in Brisbane, you might be unsure about whether you can justify the expense of a professional removalist. There are solid reasons why you should—and doing it could save you an immense amount of time, stress, and even money. The first reason to hire a removalist to help you move home is probably the one with the most impact on your life. Moving is stressful: there are often deadlines to contend with, there’s your normal life and your work to fit in around it, and it’s hard dirty work. Professional removalists can dial down the intensity of your move, giving you more breathing space to think about other things, and to better plan your transition. You can spend time on cleaning in each home, planning your meals, and organising all the other things that will help you and your family adjust to your new living space instead of intensely labouring over your belongings. Good removalists can actually pack your items for you, before moving them quickly and efficiently to your new home, with very little disruption to your daily life. They’re faster than you’ll be—they’ve done it a hundred times, and they have all the right tools and equipment for the job, so the expense of hiring them will probably be outweighed by how much time they’ve saved you. Moving house is hard work. The cleaning itself is a lot of physical labour because you’ll be cleaning dust you didn’t even know was there, and in places, you haven’t seen in years (like the top of the kitchen cupboards). But besides cleaning two properties at the same time—sometimes to very strict standards, if you’re renting through an agent—there’s sorting, packing and unpacking, disassembling and reassembling, and heavy lifting. Are you up for that sort of physical labour, over several days or weeks until your new home is in order? Your labour could be better spent on the lighter work involved in moving, like organising utilities, changing your address with every business and person that needs it and decorating to make your new house a home. There’s always a lot of rearranging and reorganising involved in fitting all your belongings into a new space, and it can be quite time-consuming. Professional removalists are physically fit and accustomed to labouring—so there’s no reason to exhaust yourself with hard work that you don’t need to do when there’s someone more able and more qualified to do it for you. Professional removalists are trained to pack and move. There’s virtually nothing they won’t have seen or handled before, so there’s little doubt that they’ll have the experience and skill to get all of your items—as oddly shaped, fragile or bulky as they might be—to your new home in one piece. When you hire a good removalist, you can actually save money just in breakages. It takes a fair bit of industry experience and training to know how to protect and transport some items, so if you’re not an expert, you could be forking out to replace broken mirrors, dinnerware and glassware, or electronics. They know how to handle and pack even the most delicate items for transport, minimising the risk of breakage from surface impacts, shock impact and movement. So unless you’re going to do some decent homework and learn how to properly pack your things (and source all the correct packing materials to do it), it’s always a better idea to leave it in the hands of a professional removalist. Professional removalists have all the right materials and tools on hand to protect and transport pretty much anything you can find in a house. Besides all kind of heavy-duty boxes, they’ll have a range of materials like bubble wrap, Styrofoam beans, cardboard fillers, tape, protective plastics and blankets to cover and brace your items for transport. These materials can be quite expensive to buy if you’re thinking about doing it yourself, and because professional removalists buy these items at bulk discounts from their suppliers, it usually ends up costing less to leave it to them. They also have the trolleys and lifting equipment they need to move the heavy items like fridges and washing machines. Shifting these items without the right equipment isn’t just hard, it can be really dangerous, and you could be putting yourself at unnecessary risk of serious injuries. Unless you’re physically accustomed to this kind of work, or you’ve got lots of friends to help you, it’s a much better idea to leave your move in the hands of professional movers who are better equipped and more skilled to do the job properly. If you’re moving home, think about drastically reducing your workload and saving time (and maybe even money) by hiring a professional removalist. At Faulkner Removals, our skilled removalists can make light work of your move: contact us anytime to find out more about how we save you the stress, and we’ll be happy to show you how we can smooth out your transition into your new home. Look at your options by checking online customer reviews and looking at comparison websites. This will not only give you piece of mind knowing others have had good experiences with a particular removalist, but will also ensure you become familiar with the services each provider offers. There is nothing quite as good as word of mouth when it comes to hiring a removalist. So ask family, friends and co-workers about their experiences with different companies they have used in the past and gather a list of trustworthy and efficient operators. This part is all about clear communication, without it, you may end up paying a lot more than you expected – which is not fun for anyone. So ask heaps of questions and make sure you are clear about all costs. How long do they think it will take to move all your belongings? Do they charge by the hour or a flat rate? Where do they count the journey as beginning and ending? Are there extra costs if there are delays or storage is needed? Something to be wary of is a quote far cheaper than others. This might be very tempting, because who doesn’t love a bargain? But a low price is not always a guarantee of quality and service by the removalist. Ask yourself if you are willing to risk your costly possessions in order to save a few dollars. In case you change your mind or need to cancel, Fair Trading QLD warn against pre-payment or providing credit card details upfront. Also, be cautious of ‘subject to increase’ clauses or hidden charges. If you see any of these in the contract, ask for more information and clarify all costs – just to be safe. Under Australian law, removal companies do not have to carry insurance. However, if they are AFRA members as a minimum they must have public liability insurance, third party property and motor vehicle insurance, and Fire, Flood, Collision and Overturning insurance for their own protection. This insurance does not cover your goods against accidental damage whilst in transit. It may be a good idea to shop around for an insurance policy, also make sure to ask about any exclusions that may affect placing a claim, such as packing your own boxes. Also, be sure to talk to your removalist about this one, because some will be able to offer you this option. If you know you will need extra help with packing and unpacking, cleaning, storage or will need extra insurance, as discussed above, most removal companies will offer this. So it is important to ask early on if this is an option to avoid disappointment. If you are in the process of moving, get in contact with Faulkner Removals for trusted advice and a local, reliable and professional home and office removal service. Moving houses is an exciting time but with the possibility of quite a few things going wrong, it is guaranteed to bring you a little bit of stress. You, therefore, want to make sure everything is meticulously planned in the months leading up to the big day. 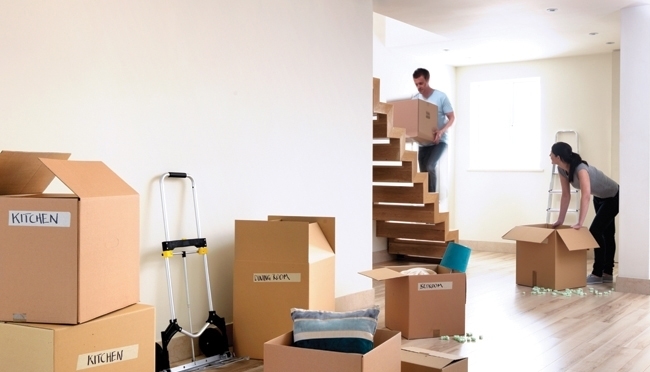 Here are nine steps to ensuring your moving day runs as smoothly and stress-free as possible. It is a good idea is to come up with three lists to indicate things you will throw away, move with, and sell/giveaway. This will not only help you get organised, but it will also give you a good indication of the work you have to do in the lead up to your move. Once you have chosen a removalist, it’s important to know all the details about their moving process, and also for them to know all the details of your own unique situation. With Faulkner Removals there are a variety of services that can be tailored to best suit your circumstances and budget. This means the option of packing and preparing your own your items for transit (we can supply all types of packing boxes and other material, if needed) or getting the experienced staff at Faulkner Removals to do it at your convenience. Make sure you are aware of what services are included in your removal process, this way you will be clear about everything you have do in preparation of the move and the removalist will know any special circumstances the need to prepare for – such as a steep driveway, tight access or the removal of a piano or particularly heavy item. The company’s insurance policy is also important to be aware of – incase you want any extra inclusions. At Faulkner Removals, our hourly rate includes transit insurance for any unforeseen incidents whilst your goods are travelling. But for accidental damage you may need to take out additional insurance, contact us for more information on this. It’s never too early to get started, so why not start packing items you know you will not be using in the next month. This might include winter clothes if it is summer, gardens tools or the spare bedroom and bathroom. This might mean dropping some items to your local charity shop, a trip to the dump or a garage sale. Wherever they might go this step is very important as it gives you the chance to de-clutter – saving you the wasted time and money of taking it with you to your new place. This is your chance to organise your records and ensure you have everything together. This includes your family’s dental and other medical records along with passports, licenses, and certificates. This is the right time to get your pets’ records if you have any as well. Make sure they are all packed into a safe place and clearly marked. Chances have it that you won’t need anything of these within the next two weeks, but if you will, ensure that they are still easy to access. Begin loading up everything in the less essential areas like the lounge, and living areas. Pack away things like children’s toys as well at this point except those that they really use. This is also a good time to wash your unnecessary towels, clothes, and linen then pack them away. Contact banks, insurance companies, and utilities to let them know of your change in postal address and the transfer of their services. The moving day is getting close! A good way of packing is room-by-room, labeling boxes according to each room they will be going to in your new place – this will make it easier for both you and the removalists. Keep calm, and get excited! Hopefully all your boxes are packed by now, or alternatively, your belongings are organised for the removalists to pack. It’s good to pay special attention to your valuables and take note of the conditions they leave your hands in into the movers’. At the very end of the removal process, be sure to go through your house one last time to make sure everything has been packed. If you are planning on moving, get in contact with Faulkner Removals, your local, reliable, professional home and office removalist in Brisbane. Even when you’re dizzy with excitement over a new home, the prospect of moving everything you own is still daunting. It’s inevitable that over the years you’ll have managed to accumulate a lot more than you need to keep, and it seems to have a way of concealing itself in even the cleanest-looking homes just waiting for the opportunity to derail your plans. If you’ve got a lot of clutter in your house, you should plan to get rid of it with plenty of time to spare before you move. This is for two reasons: you don’t want to clutter up your new home, and it wastes a lot more time and money to take it with you. But if you’re having trouble even figuring out how you’re going to do it, follow a few simple tips to help you get your home mean and clean in time for moving day. One of the best tricks to decluttering your life is to envision what you want in your new home. If you take the time to plan the layout of your new home, writing down what you want to keep and where it’s going to fit, it helps you to commit when it comes time to say goodbye to the things you no longer need. When you find yourself face to face with something hard to part with, it’s easier to move on without it when you can remind yourself of the dream layout of your new home—it’s not as hard to give something up when you have a vision for something better. Planning your new home also helps you to avoid logistical problems down the track. If you have large, unusually shaped items or furniture that your new space simply can’t accommodate, it’s better to have dealt with them in advance rather than have another problem to solve when you get to your new home. Brisbane residents will know how diverse the housing types are throughout the city, and how much it can affect the storage and layout in your property—so always plan ahead. And when you’re making your plan, be accountable for it. Show it to your family or housemates, so there’s someone to help you follow through with your decisions when it comes time to make the break. There’s no way around it: if you really want to declutter your home, you have to get ruthless. You’ll no doubt come across good quality items among the mess, or items with sentimental value that don’t have a useful purpose anymore. Many of them will have been on the chopping block before, only to be saved in a last minute reprieve when the drive to the charity shop seemed like too much effort. One of the main areas this will happen is in the wardrobe: you might have already heard the rule that if you haven’t worn it in a year, you don’t need it. The same goes for all other good-quality items you’re not using—they’re taking up valuable space in your life, while someone else could be enjoying them. Make the trip to the charity shop, take some photos and sell them on Ebay, or hand them over to the covetous friend who’s been eyeing them off or years, and never look back. You probably haven’t thought about them for years, and you probably never will again. If you don’t think you can trust yourself to be ruthless enough to really declutter, enlist the help of someone who can. Having a buddy to help you will make your decision-making load lighter, and it’ll also help you finish the job sooner. If you keep putting off your decluttering, it’ll be moving day before you know it, and your new home will end up suffering the same problem. Start early by making a good plan for the transition and stick to it: separate it into smaller tasks, allocate a day for each one, and follow your schedule religiously. You’ll probably find it’ll get easier as you go along, and you’ll be more motivated as you see and feel the weight of your home getting lighter. But even when you’ve finished all the hard yards, you have to follow through: dispose of your unwanted items as soon as you can, to avoid them sneaking their way into your new home. If all the items you’ve cleared out of your house are in the boot of your car while you drive round for the next few weeks, they’re in a prime position to be moved into your new property and back to taking up your valuable space. Part of your plan must include how, where and when you’re going to offload your unwanted items, whether you’re selling, donating, recycling, dumping, or storing. If your trip to the tip is already scheduled in your diary, it’s harder to avoid, and you’re more likely to succeed in achieving the freedom of wide open space in your new home. One of the more overlooked ways to ensure you don’t transport clutter with you to your new house is to start packing early. Commit to only packing what you really want to keep, sealing each box thoroughly as you go to avoid sneaky items from creeping back in. When you’ve packed everything you’re taking, you’ll know that everything that’s left is marked for disposal, and it’ll be easier to say no to taking it because it hasn’t been prepared for the removalists. If you’re still having trouble after trying all these things, consider enlisting the help of interstate removalists. Brisbane residents heading to new states—particularly metropolitan areas—will often be downsizing their homes, and they’ll find comfort in the expertise of professional removalists. 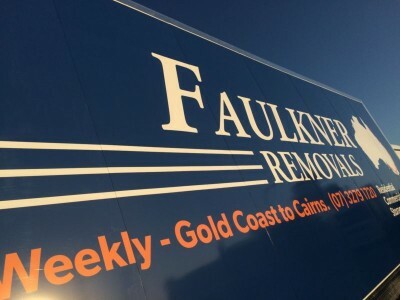 Brisbane customers can contact Faulkner Removals on 07 3279 1720 for more information on all domestic removals, and we’ll be happy to help you better enjoy your new home.